Do not wait another 30 years to understand that British atrocities CAN and WILL happen again! Over the last few weeks, I have immersed myself in watching some very informative documentaries. Netflix has played host to some that have thus far have failed to make it on to general television and where Netflix have failed documentary makers have given their own showings, such as Unquiet Graves which is currently on tour around the Country. 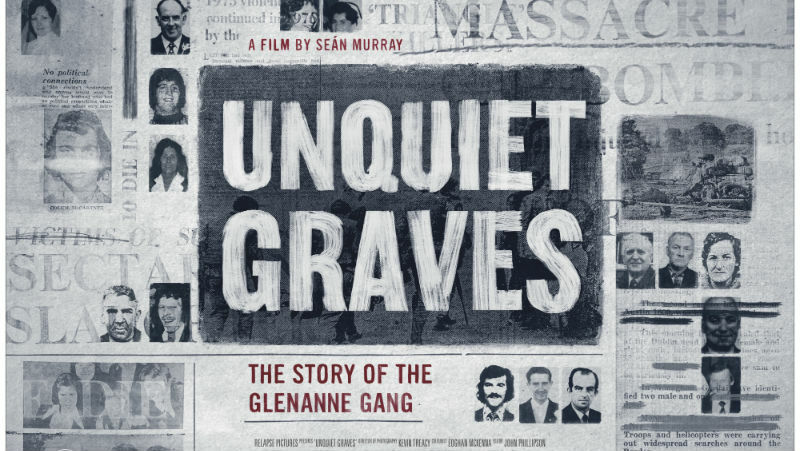 Watching Unquiet Graves in a packed room, in a hotel in the Moy Co. Tyrone, I saw first-hand the appetite out there from Irish People, who want to learn the truth of the brutalities of the British Occupation. You could not fail to be moved in watching this film; hearing accounts of cold-blooded murders committed by Loyalists in collusion with the state leaves you not only sad but also very angry. The Miami Showband documentary, which has aired in recent days on Netflix, also leaves you with a wave of anger tinged with sadness. The ruthless murder of popular musicians on a roadside coming from a gig is horrifying, to hear the background of this atrocity, how well organised and thought out it was is infuriating and makes you understand clearly that Loyalists and the British State targeted innocent people in support of their twisted ideology. They wanted to instil fear, confusion and suspicion into the general populace and worst of all they wanted to paint innocent murder victims as villains. Not content with taking innocent people’s lives they wanted to take their character as well. 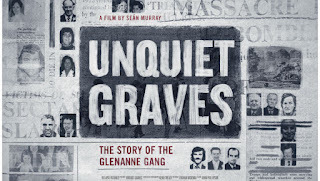 The release and promotion of these documentaries could not be timelier, I watched Unquiet Graves on the very day that it was revealed that a lone British Soldier would face charges for the Bloody Sunday Massacre, which saw 14 innocent men die at the hands of British Paratroopers in Derry. I believe having this fresh in my mind, it increased the intensity of the film for me; I sat there glaring at the screen, taking in every second while simultaneously thinking of all the other atrocities the British had carried out on the Irish People, and that to date we have no justice. Of course, as Republicans, we have always known about British State collusion with Loyalists, we have always been aware too about the clear-cut British Army led murders of innocent Irish people. The families of those who have died due to British State violence have suffered decades of indignities, having lies told about their loved ones, while they too have been victims of a state-led cover-up and denial of justice. One of the most high profile atrocities by the British State is that of Bloody Sunday, 1971 in Derry. A peaceful anti-internment march turned into a bloodbath when British Soldiers opened fire on the marchers, killing 14 men. The British State sprang into action and made all sorts of allegations about those who were murdered, their cover-up was also rubber-stamped by the Widgery report and the families of those who died were treated with contempt. It was only in 2010 that the British finally acknowledged that those who were murdered had been entirely innocent. 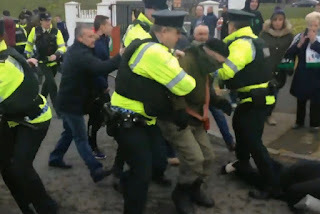 While this brought some level of comfort to the families, it could not rectify the decades of gas lighting of families and criminalisation of the murdered victims. The British government today is no better than the British Government of 1971. They continue to occupy the 6 Counties, the state that British Soldiers murdered Irish people to maintain. There are those who believe that with the passage of time things have changed, the public it would seem is content with their lot, this is pure folly. 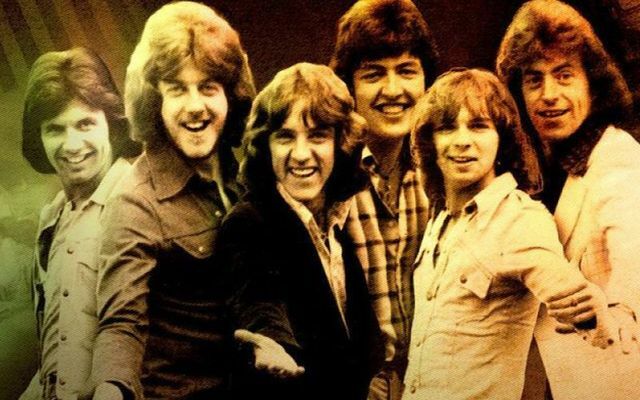 We are only getting confirmation of details about the Miami Showband murders, the Glennane gang murders in collusion with the British state and others now because of the passage of time and the de-classifying of state files. Files which prove that the British State and intelligence agencies were behind and responsible for many of the murders attributed to loyalists alone. What will the files in 30 years’ time show about the current situation in the 6 counties? How many more atrocities will we have to endure? How many British led murders are happening now that we cannot link? The only sure-fire way to ensure that we are no longer pawns in the games of British imperialists is to have our own Country, a Country free from foreign interference. 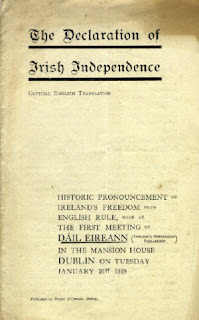 A Country free from manipulation, one that cherishes its peoples rather than kills them, one that tells its people the truth rather than treats them with derision and contempt, in short, the only answer for Ireland is the Republic. The only question left is how do we get rid of them. What plan is there? Now that is the million dollar question! 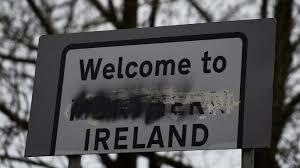 As an advocate of the federal eire nua policy do you think there is a possibility of widespread acceptance of it? Or is there too much divergence in position between all the current groups for it to be accepted? Well you are certainly doing a lot to promote it yourself. I enjoy reading your posts. They are informative and very well thought out and a pleasure to read. Would you consider organising something to promote federalism beyond the internet? Go raibh maith agat a chara, lovely feedback. Yes 100% and I have done a few bits and pieces in the past, i try to include federalism in everything I do, speeches etc. At the moment I am working with a small handful of other activists to try and get something off the ground to promote federalism, so it is quite possible if all goes according to plan we will see something soon. That's the plan for the moment anyway and any small bit we can do, we absolutely should. As an avid reader of your blog i have read the many fine speeches you have included federalism in previously so I am aware that it is something you hold dear and promote vigorously. You are without doubt a major benefit to the cause of promoting federalism and I like many others look forward to your future project as well as the joy of reading your future posts.